We are moving through a gigantic force of energies that shakes everything to its core. Many are starting to realize the end of their old beliefs/convictions and ego they have clung to for so long. 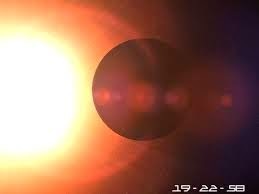 The Full Blood Moon eclipse has shaken the core of that which has to wither away in order to make more place for the new and another grand portal, in the form of a solar eclipse, will occur in the upcoming days that will shake the core of this all once more. Each time it is a different energy influx which partakes in the process of release and rebirth. Every influx has its own unique codes and energies to touch every fiber of all existence. A Tsunami of Love is being spread by various Sources of Light, which is held through our own unique pattern of Being. We are the light bearers who spread this Love to all existence as we anchor this on Earth. Once again I would like to stress the fact to learn and co-operate together as one and to let go of any grudge or judgment you hold towards another. You are all unique expressions of God consciousness and we need to differ in our work and energy to complement the energies that are being anchored on Gaia to move this shift ahead. False beliefs are being released, old habits and patterns are to be reviewed in order to move you forward towards full awakening and the activation of your Lightbody/Self. You are literally opening yourselves now to the awareness of your Multidimensional Being as the Universal - and the Solar energy influxes are entering the core of your being to reawaken your Christed state. Layers of multidimensional consciousness are being lifted for you to explore consciously. This means that you will be invited to work more on the level of your multidimensional self and this pertains to you, the awakened ones, the gate-keepers and the Ascension pioneers on this plane. You are called to active duty and you feel the call within you for some time now since the spring equinox. This calling has been amplified during the Lion's Gateway in August as you have been activating a deeper Solar Christ Consciousness since then, preparing you for a deeper level of not only Christ integrations but also of your I AM Presence. The recent September Equinox was a marker for those who feel the calling within to take their first steps and to bring the change forth. 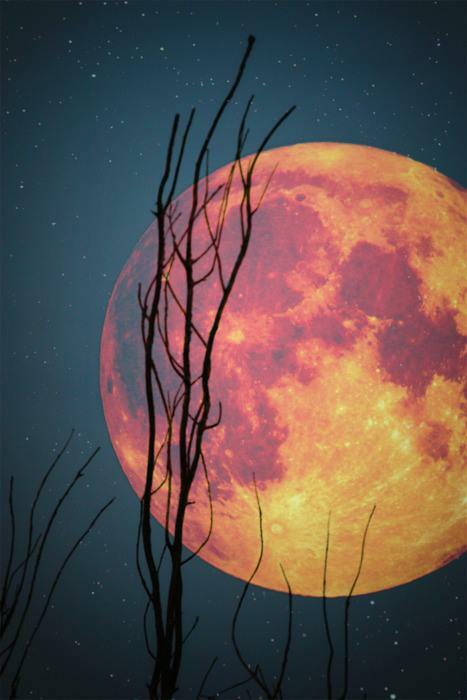 It started immediately since this Full Blood Moon Eclipse on October 8th, 2014 as you feel your foundation, that was built upon the old beliefs, shaken to its core. This applies not only to you but also to many around you. Are you prepared and ready for this new coming birth? Many believe that a new world will be thrown at them as if it were an overnight process where you expect that you will wake up in a new surrounding. In a way, it is so that you will "awake" into a new world but not overnight. This is to be experienced in consciousness as you are the one that shifts suddenly when you reach that threshold of instant transformation and manifestation in the inner heart of your inner planes. Then all that has shifted on the inside of your being ~ consciousness wise ~ will start to reflect into your outer world as if you are in a whole new world but in fact this new world is you in another state of consciousness. You will start to perceive things differently and be able to see beyond the veils of density. This makes your whole world start and change for you and you will find it easier and easier to detach from the ego mind and from the energies that are of the old vibration. Many structures, systems and people are now fearfully fighting against the forces of change and release, as they do not like to review their beliefs and thoughts and cling to that knowing defensively. These ones are effortlessly doing all they can to hold their views and systems/beliefs up as this is all that they believe in as their own reality. To lose your reality as you thought it was or as you were convinced it was, is a 'smack in the face' experience as the ego mind does not want to lose its credibility and sense of power. Every battle is ego related so you can recognize a fight of your ego when this sense of battle arises. We welcome the energies of the Eclipses in this month of October as they cause more of this ego and those emotions to leave our plane and being. This is a call for duty so it is best to be as 'heart based' and 'centered' as possible in order to function as this pioneer because you are going to be crucial in assisting and teaching others by example. When you feel you are ready to move and to go out there to bring your inner knowing to assist all of Humanity, do so and do not heed that logic/mind but rather your inner heart calling. All of you will know when the time is Divine for you to start executing your duties in a more conscious way as you will first go through profound initiations, activations, cleansing, transformation and release to function as that conduit of Light serving the greater good of ALL. 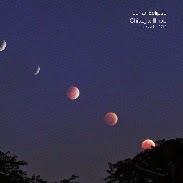 These eclipses function as a trigger for activating drastic changes on different levels of your being. This differs from individual to individual as your Higher Levels will know what is most important for you to work on in this Now. For some this might mean new relationships and soul connections with fractals of your soul group. For others it might mean a leveling up to world service due to consciousness expansion or a profound release of old layers of trapped energies. To some it may bring such higher levels of awareness and consciousness that you experience being more off planet in the Higher Dimensions then being here in the Earthly collective. It might also be all of this simultaneously, as long as it benefits your Highest Good and that of Earth. You may expect more movement after the energetic influences of the Eclipses, which will be followed by a few other intense energy portals. Do not be surprised when you see many things heat up and shift instantly as people are fed up with the old beliefs and are feeling revolutionary changes within. You all have the power within and more are standing their ground on what is acceptable and what no longer is. Change is upon you and surrounds you for you are the 'change makers'. It starts within you! Just remember to act in Love and Compassion at all times and start no 'wars' to prove your point. When someone or a system is not ready to hear or see, make your point short and powerful but avoid a continuous fight over who is wrong and who is right. This will be an interesting winter and I get the image of me staying inside of my home with my children and family: all together in quietness. Something is moving underneath my feet, but it can be in my own personal reality as much is happening for me that demands my full attention every day. At this time I am actively working on the change and the shift of the school systems, ever so subtle but nonetheless very clear for the school that my words and signals cannot be ignored. My twins do not agree with their school system, so problems are presenting themselves where the school is defending their position and using my boys to make their point. This is why I am currently focusing on supporting my twins and showing the school that revising their methods is needed as many of the children are sending the same signals to the school as my boys are; they mirror the school. I see some others in the world as well as in my vicinity that are experiencing the same issues with the schools of their children, so the pressure is on.. it is just a matter of time. The same is happening in the medical systems as hospitals and nursing homes are losing their grip on what used to work and they are making efforts to sustain what once was. This cannot be held for very long anymore as the energies such as the eclipses and equinoxes, portals and solstices are bringing the reality forth of tremendous change. Still, we have a collective to take into account so it might take longer than our own transformations on our personal plane of consciousness because the collective clings to the old and the familiar. We are not alone on this planet so must remain respectful of and compassionate towards all beings and their individual pace of awakening, while moving forward with your own process and growth. You are a pioneer and you pave the way so keep your focus on that to assist in this shift. What you anchor through your light and your consciousness, will also help others in their shift in due time.